Last Sunday's NFL Super Bowl showdown was a social networking phenomenon, smashing the record for tweets sent per second during a sporting event. During the final three minutes of NFL showpiece game between the New York Giants and the New England Patriots, over 10,000 tweets were posted every second, the company has revealed. And, in the final minute when the Giants took a dramatic last minute lead through an Ahmad Bradshaw touchdown, tweets peaked at 12,233 per second. In 2008 the peak was just 27 per second. 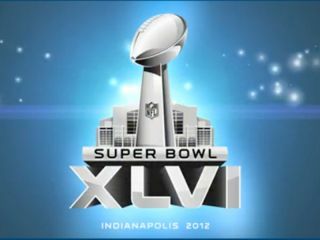 Overall, 13.7m Super Bowl related tweets were posted during the game, Twitter announced in a blog post on Monday. The previous record was set in January when Tim Tebow mania was in full flow and his Denver Broncos ousted the Pittsburgh Steelers to advance to the next round of the NFL play-offs. Aside from the game itself, which the Giants won 21-17, Madonna's performance at half-time also resonated with the Twitterverse, sparking 10,245 posts per second at its peak. Away from the Super Bowl the all-time record for tweets per second came in 2011 during the finale of a Japanese TV show called 'Castle in the Sky,' which brought in 25,088tps.